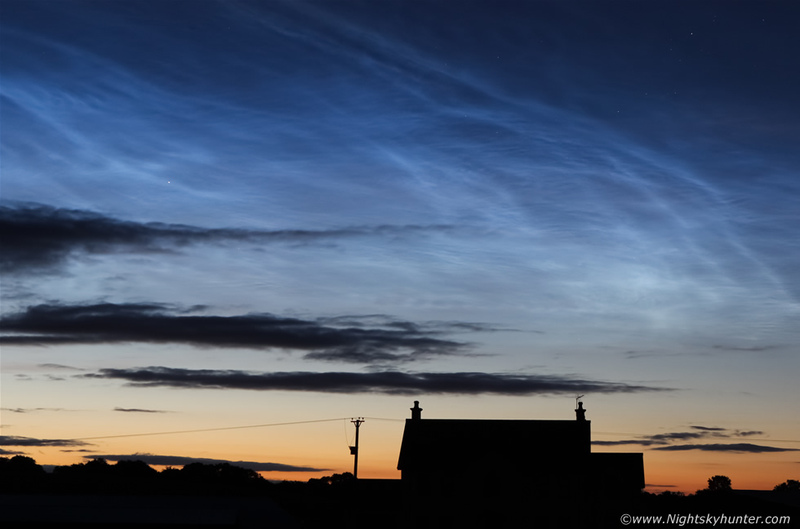 Vibrant electric blue NLCs over an isolated country farm house outside Maghera on June 12th 2014 with good structure composed of bands, whirls, veil, knots and lacunosus holes. The stunning blue sight was complimented by a bed of orange across the horizon where the sun had earlier set which made for a dramatic midnight scene. * All images are available for sale in the form of photo prints, canvas or digital files for licensing, if you are interested in a purchase simply drop me an email.